This entry was posted in equality, inspiration by Tiffany. Bookmark the permalink. I’m a picture researcher for educational publisher Hodder Education in London. 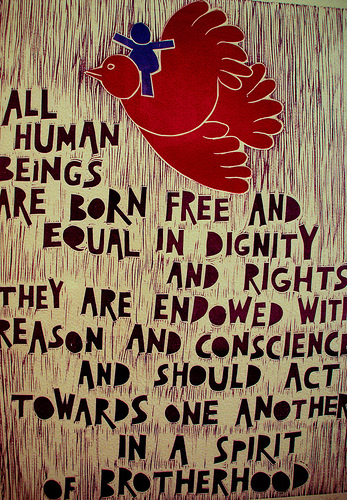 I’m trying to find the source of the “All human beings are born free …” image. We’d like to use it in one of our books. Do you have that information by any chance?